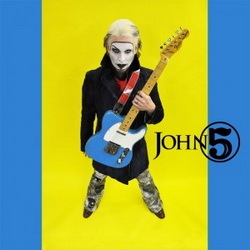 There aren’t many guitarists out there displaying as much originality and commitment to their craft as John 5. Long known as the axeman behind such artists as Marilyn Manson and Rob Zombie, he’s also played with such luminaries as Rob Halford, David Lee Roth and Paul Stanley. When he’s not touring with Zombie, he’s playing session work with artists from a wide range of styles including Ricky Martin and recording his own solo albums; such as his latest effort, ‘The Art Of Malice’ which is available now.